LEFTZ on etsy has some of my favorite plush characters. They are fun and eco friendly. 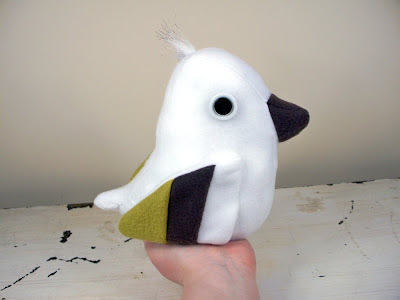 And I'm all about re-use, re-cycle anything and everything so LEFTZ plush are a personal favorite. The genius behind LEFTZ is Mary Casher. 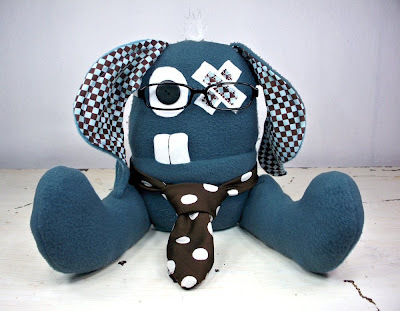 All LEFTZ creations are made using thrift store finds and donated fabric. 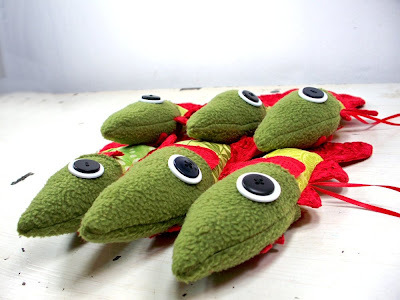 They are also stuffed with plastic grocery bags, you know the ones that end up in the landfill or caught in the tops of trees. Mary puts these to good use and they make surprisingly good stuffing material. (these bags are all clean, btw) Mary also lets you know how many bags each LEFTZ creature is stuffed with. I tweet with Mary often on twitter. 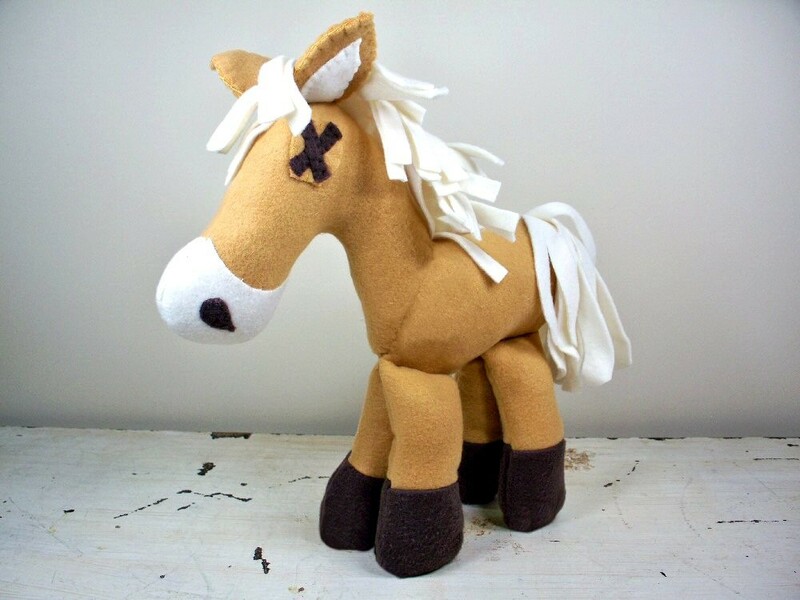 She's a lovely person and such an inspiration to a plush-want-to-be-maker like me. I own 2 great LEFTZ creations and can attest to the fact that they are very well made and just plain fun. Mary's creations are called LEFTZ because they are missing their left eyes. The right eyes are fun vintage buttons. She doesn't use patterns so each creation is slightly different than the last. 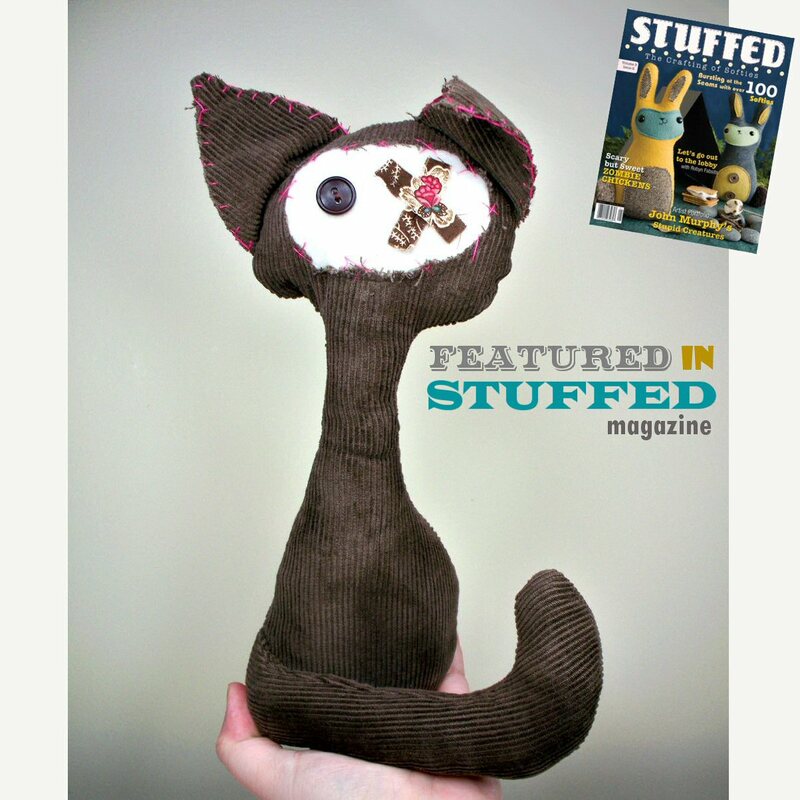 Mary has had several of her LEFTZ creations featured in STUFFED Magazine and is having a giveaway on her blog of Pepper the cat that was featured in STUFFED. Giveaway ends September 23rd. Ted and Dew Drop are in the sale section of LEFTZ shop and I believe once they are sold no more of these will be made. (no more sparrows will be made) So grab them up folks! 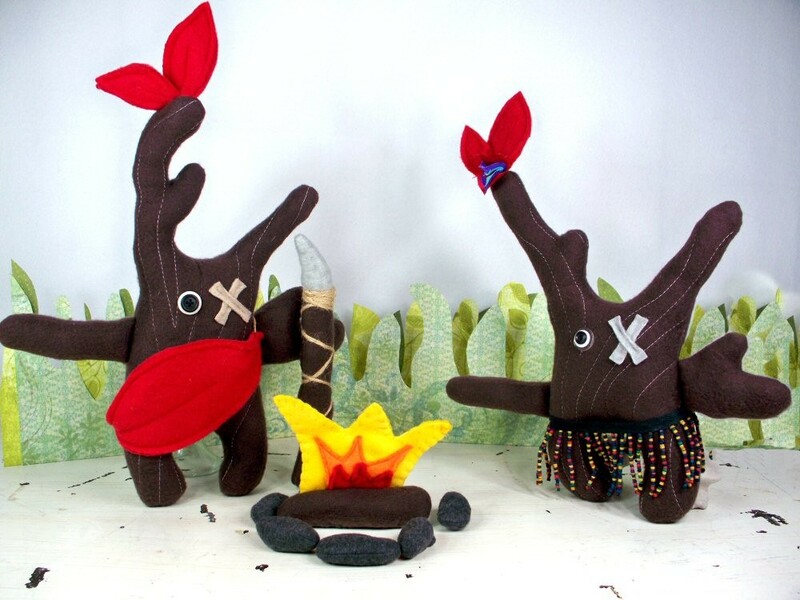 Mary had a plush series that she recently sold off and retired called Tribals. They are tree like creatures with spears. I was lucky to purchase one before they were all gone and I love it. Retired Tribals no longer available for purchase. 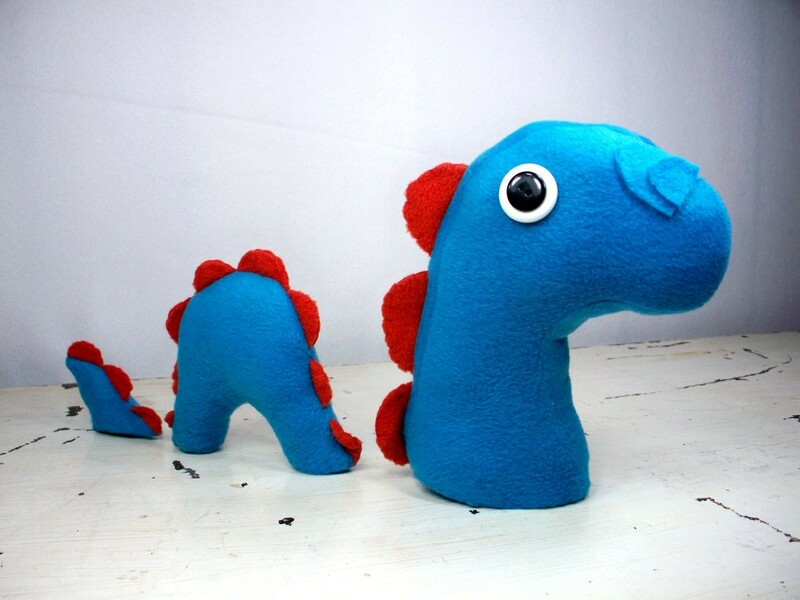 Mary is taking her plush in a new and fun direction with the addition of monsters. Some are fleece and fabric and some like below are fur. This guy was sold the same day he was listed. How awesome is he in his geekyness?! 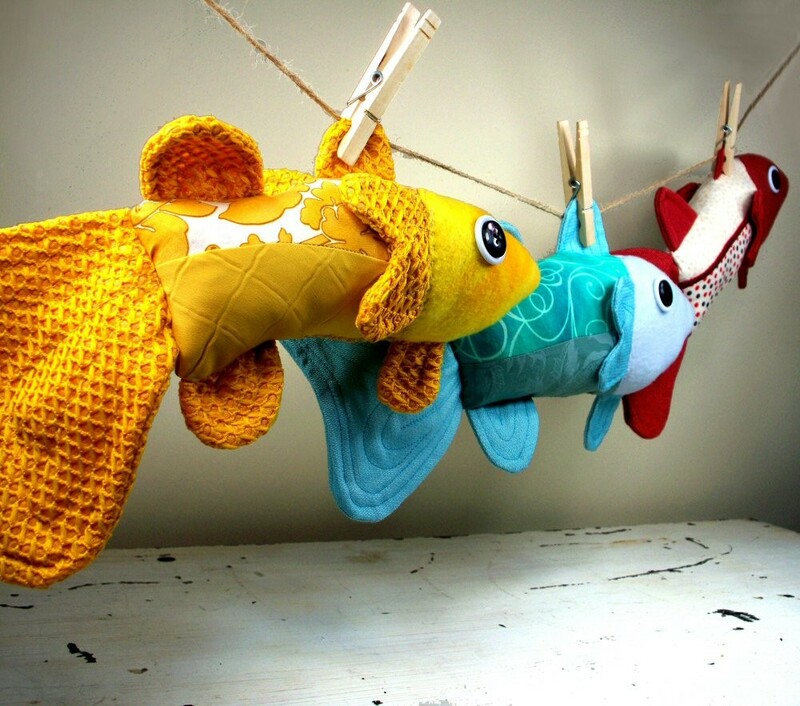 There's a fish trend on etsy right now and LEFTZ does them the best! Look at these patterns and colors. Luscious and I don't even like fish but I like these! Want a LEFTZ on your tree this holiday season? These mini largemouth bass are perfect. Grab them quick LEFTZ always sell fast! I, of course, like the cat best. LEFTZ makes such tough and happy little critters. I love her stuff, and she's a charmer. I love that each one has their own personality that comes out in their faces. Totally in love with the eco-friendly aspect of her craft. Ha! Those are funny. So many clever people around. I'm afraid mine would be missing an eye, an ear and half their limbs. Not initially of course. Bit by bit over the weeks (days!) they'd disintegrate themselves. Then I would have to say "Look, I made a snake." Thank you again for the feature :) It's always a pleasure talking with you.